Kelsey lives in Longyearbyen, Svalbard, where she is working as a guide on dogsleds and on the sea. She spends the dark season with books and candles. Her work has appeared in Nowhere magazine, Proximity, Entropy, and elsewhere. 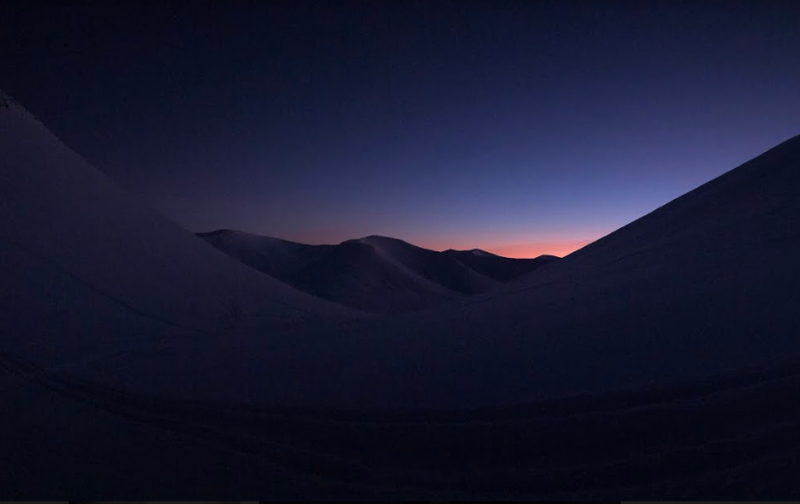 As the year turns towards winter, Kelsey Camacho writes about Arctic darkness and light.